It’s been an unusual two months. A period of time that has transformed a part of my life that’s been so surprising and cataclysmic I feel it’s worth sharing my experience with you. 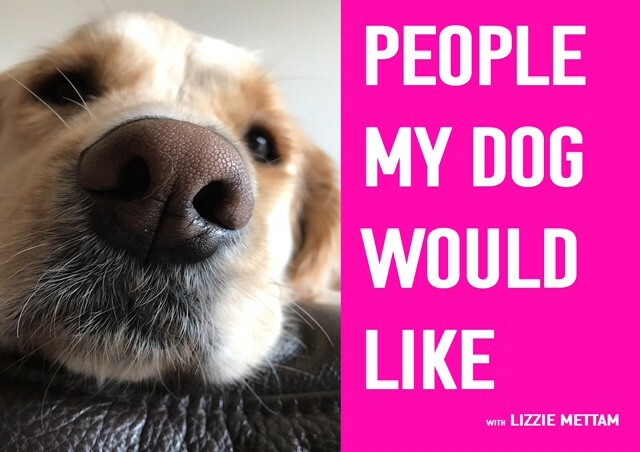 I’m the host of People My Dog Would Like, a podcast where I speak to interesting people about their game changing ideas, fresh initiatives, startups and out-of-the-box movements with an eye on the future. A compassionate future. This podcast had, until recently, been a idea going on in my head drumming away since my twenties, and one that I guess I had thought was a dream I needed to say goodbye to. How wrong was I.
I have been working in leadership development and the futures space for about 15 years and, more recently, my career involved brokering strategic partnerships between a well regarded university in Melbourne, Australia, and industry and local government, to drive Australia’s push into renewables and create more opportunity for work locally, particularly for budding entrepreneurs. It was important work and at the same time I was clocking on and clocking off. I knew something was missing. I didn’t have a feeling of joy or fulfilment doing the work I was doing, and then less so when I moved into a role as Smart City Convener for a large local council on the outer fringe of Melbourne’s urban sprawl. I should have been content, even satisfied, but I was distracted, and worn down by the bureaucracy of large organisations that are trying to change, who are being disrupted by the exponential advances in technology and the new models of engagement shaking things up in a new economy. Don’t get me wrong, I liked the people with whom I worked, it just didn’t set my world on fire. And also things didn’t perhaps move at the pace that got my heart beating. A few months ago I was in my car on a standard daily long commute, a common experience if you live in regional Victoria and call Geelong home. I had for some time been tuning into a London podcast that really resonated with me – incredibly interesting guests at the top of their game with something powerful to say in a format I was really loving – old fashioned long form conversations between two people that sounded so authentic and so different to what I was hearing elsewhere. Enter stage left Brian Rose of London Real. 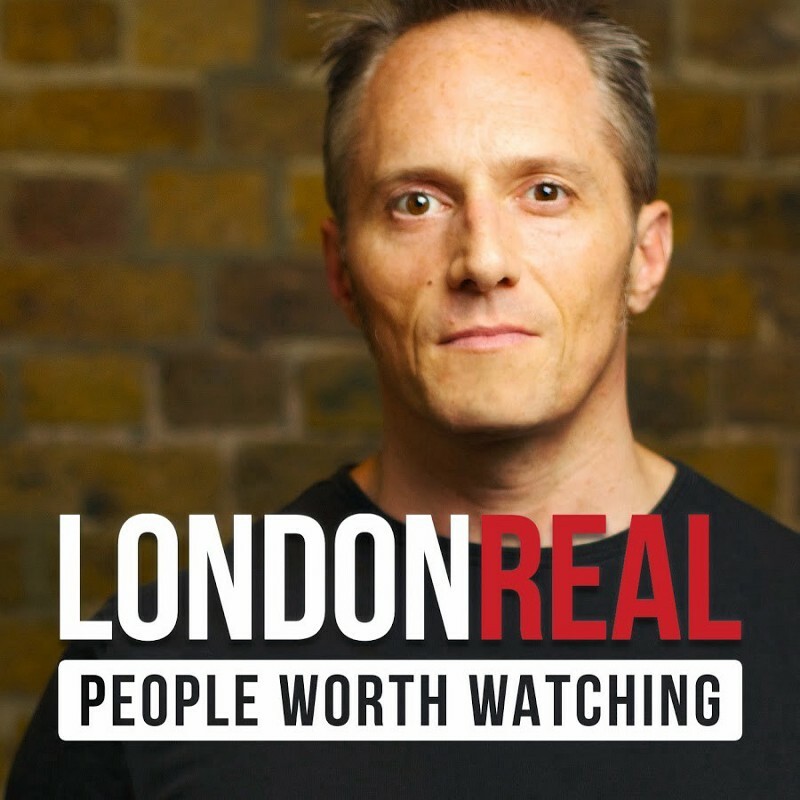 London Real is a podcast that, as I said, comes out of London, hosted by an American, Brian, where people who are at the top of their field get real. It’s a warts and all show, that’s at times uplifting and also challenging, that could also be a real emotional roller coaster ride – listening to people’s tragic lows and spiritual highs, and more often than not the guest had suffered real misfortune either through greed or just being unlucky, who had somehow clawed their way back and found their mojo again. Or had been on a spiritual journey for a long time, and were there to simply share their wisdom. It resonated with me, I’ve failed and won, failed and won. I was hooked into listening to these incredible conversations that often had me sitting outside of my house, in the car, not wanting to go in, hooked into listening to what happened next in an incredible person’s life journey. So what happened 8 weeks ago? Brian Rose came up in my feed one day saying he was running this Broadcast Yourself course. The shout out was if you wanted to get a world class podcast up and running in two months it was worth signing up. What have you got to lose? Well. That was like asking my dog Cha Cha if she wanted to go to the local pet store and buy a bag of kangaroo treats. I signed up so fast I don’t think I even thought about it. I laugh now when I think I could have been signing away my right arm. I was that trusting of Brian because of the way he conducted his show, I felt if I was going to finally give my shelved dream a shot, he was the guy I could trust. My god. What. An. Experience. It. Has. Been. To be fair, it was a bootcamp for broadcasting. I’m exhausted, I’m tired and I’m ratty. I’m bloody delerious. Conference calls were at 4am Melbourne time, twice a week, and you weren’t allowed to miss one. Or you could, but for me it was about commitment, and I wanted to show myself that this was important to me, and therefore showing up was worth it – it was a strong message to myself. I’m glad I had a mini background in broadcasting from my 20’s. It helped. But not a lot! That I have a background in psychotherapy probably helped more – some of the psychological gates I pushed through even surprised myself. Nothing prepared me for how insane and incredible the stresses, the deadlines, the competition, the highs and the lows could be, tucked into a course with an international bunch of hungry students, generally professionals, also wanting what I wanted. To podcast. We were all on this ride together. The support we all felt from each other in the team was just joyful. A group of people all helping each other out, where they could, when they could. And it’s been unforgettable. Fast forward eight weeks and I am in my final week. I officially launched my podcast last week, have eight shows on iTunes and have now created this thing, this thing that really means something to me. And I’ve found out it means something to others too. The feedback has been incredible, the guests I’ve had on my show inspire me, and make me want to be a better person. I learn from them, and from the feedback I’m getting from my loyal listeners they are learning a great deal too. And they want more. I regularly pinch myself and think. Wow, who would have thought in eight weeks I could achieve what I’ve achieved? I’m so chuffed with myself. My husband has been such a supportive guy, so have my kids, I kinda bailed on them for the last six weeks. They’ve all rallied behind me and given me a kiss and said you’re great, keep it up. We love you. Well done. I just needed to tip my hat to the man at the helm. And my smart and patient tutor, Julian Bailes, too. I would not have got there without Brian and London Real. I really believe that. I know that. Taking extreme ownership, pushing through resistance and tackling my entrenched stubborn, legacy mindset are some of the incredible take always I look back on in the rear view mirror – while I now speed away driving into the distance listening to Jimmy Hendrick’s All Along the Watchtower. I got through all of this because I took risks. And because Brian Rose and his team spurred me on. My podcast is growing week by week. And how do I feel? Fulfilled. Like for the first time, in a long time, I’ve woken up. I’ve done something for me, it’s really meant something and I feel like I’m doing something worthwhile. In my way. And that matters to me. When I was young my passion was to be an investigative journalist and I’ve come full circle. I’m doing it. And its amazing. It’s a beautiful feeling. Like the umami of feelings, indescribable, but wholly satisfying. And I’ve made some great friends along the way who have touched me more than I thought was possible. So thank you Brian, I really mean that from the bottom of my heart. You are making a difference to people in this world, and you made a difference to me, when I was becoming jaded and cynical. It’s like I’ve reemerged from a virtual dream where I was so stuck, and now see things with fresh eyes, and a big heart, with a sense of wonder, learning that my beginners mindset is a healthy way to live, and that taking a chance is ALWAYS worth it. What a journey Lizzie, and it is only beginning. Love “People my dog would like” and can’t wait to see where it leads you! Congrats and keep up the inspirational work.